WHETHER it is done by a company or an individual, becoming a market leader involves a keen eye for opportunity and the determination to set an example for all. These two characteristics were clearly on display recently when C.P. Davidson & Sons Ltd (CPD) decided to build on a rich legacy of supplying some of the industry’s finest municipal vehicles for over 60 years, by launching the Hydrolift Hookloader. The long-established Chorley-based company has had trouble in the past with unreliable hookloader suppliers. 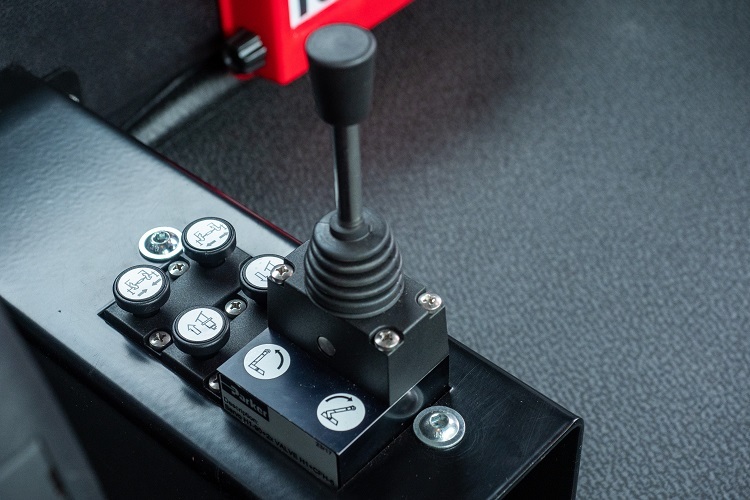 In response, CPD took the brave step of cutting out the middleman and entering the market themselves, sourcing the Hydrolift from the manufacturer itself and enabling them to provide an unbeatable service. From the start to the very finish, Robert is confident every experience of dealing with CPD will be a superior one when compared to the competition. CPD officially released the hookloader to the market towards the end of 2018. 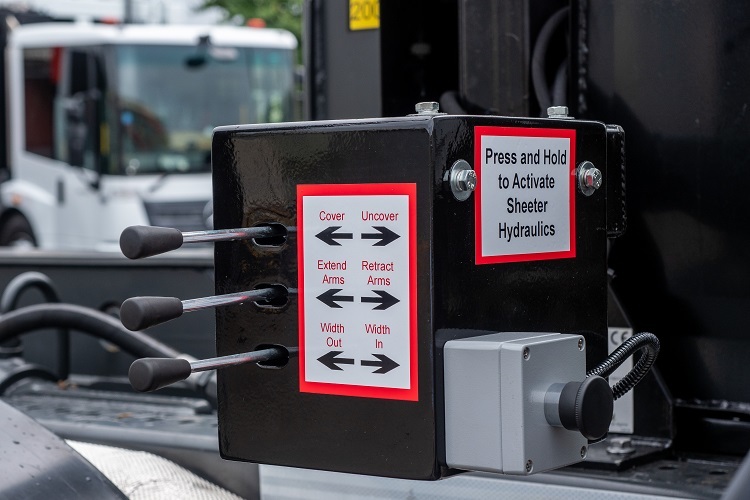 The vehicle is now available for purchase or as part of the company’s extensive hire fleet, which will be marketed under the CPD Hydrolift brand. Robert added: “We will go through all possible options with the customer to ensure the vehicle is built to the correct specifications and that nothing has been missed. CPD’s main motivation to develop the Hydrolift Hookloader themselves was due to the company’s previous experience with a hookloader supplier. After this negative experience with their sub-standard supplier, it took CPD 12 months to find the correct partner in Europe and alter the product, which would best benefit the Chorley company’s customer base. With a heavy-duty mainframe, the Hydrolift Hookloader incorporates both in-cab and mounted control boxes for flexible operation. Up and down the country, the Hydrolift Hookloader has already become an essential addition to fleets involved in the transportation of waste and recycling. “Orders for the Hydrolift Hookloaders have come in thick and fast. We won a tender for the supply of two vehicles to Worcester City Council in the West Midlands, as well as to several Mercedes-Benz dealerships in Britain and Northern Ireland,” said Robert. The addition of the Hydrolift Hookloader to the CPD range builds on the widespread success of the Titan RCV: one of the industry’s leading refuse collection vehicles. Perhaps this is understandable, as the two vehicles have plenty in common. “Using reliable components from internationally renowned suppliers ensures longevity and a robust build. 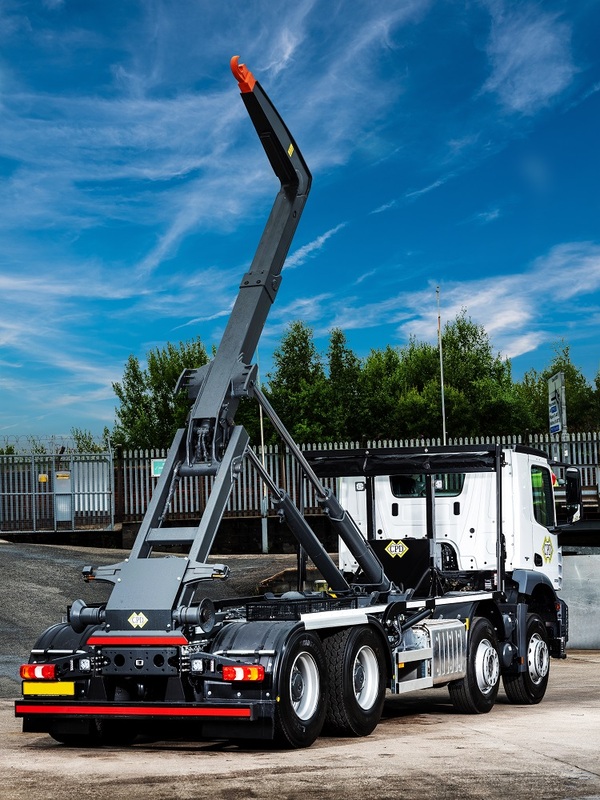 With this in mind, to date, all our hookloaders, as well as 26-tonne vehicles on our hire fleet, are mounted on Mercedes-Benz chassis,” Robert added. 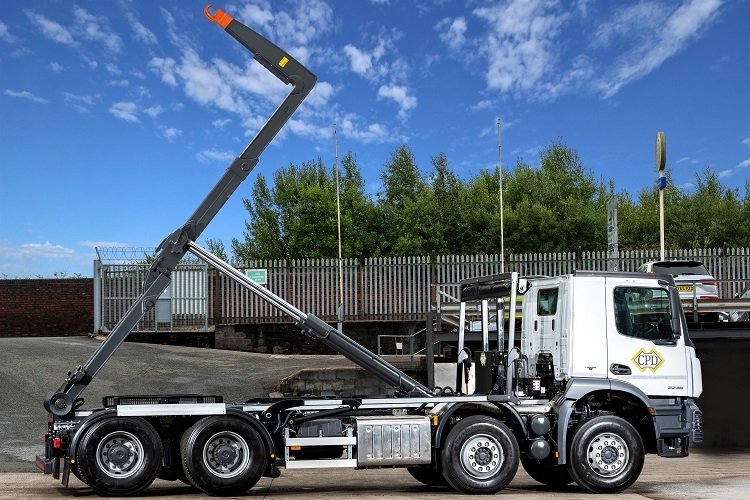 “Everyone knows and trusts the brand; the Mercedes-Benz Arocs complements the reliability of our hookloader equipment. CPD delivers its Hydrolift Hookloader with great technial ability and “the promise of amazing aftersales”. The company is one of few which not only designs, builds and sells equipment but also runs its own rental fleet. This fleet is important as it enables CPD to develop through direct feedback from customers, leading to first-hand problem solving. So, how will CPD exceed customers’ expectations? Robert concluded: “I am all about the detail. Everything has to be as close to perfect as possible. 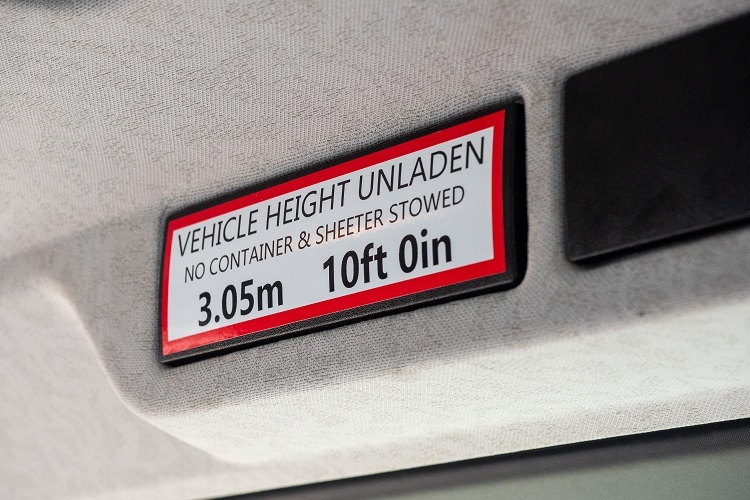 From the small things like warning labels and control decals to parts supply and how soon a customer can get the part they require. CPD is striving to improve aftersales by adding more van-based CPD technicians and monitor stock levels at the company’s Lancashire-based head office. 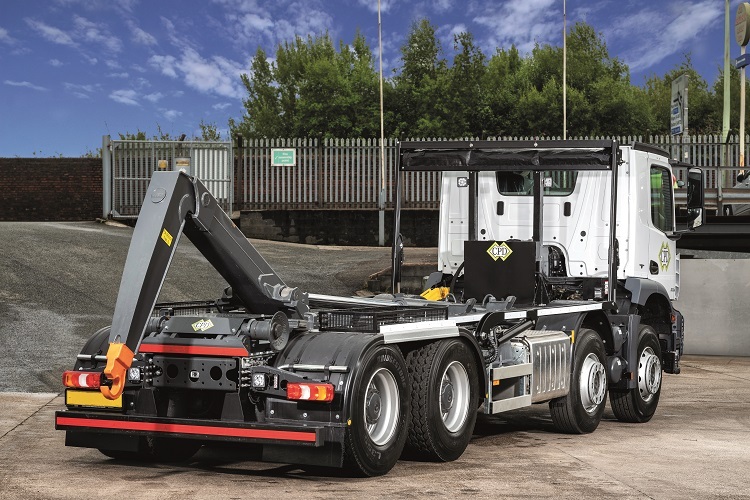 Going forward, the company is supplying RCVs and hookloaders to local authorities and private waste collection companies, where it will deliver an above-and-beyond level of service to meet the requirements of its customers. Contact the municipal vehicle specialists at CPD today to learn more about the Hydrolift Hookloader.